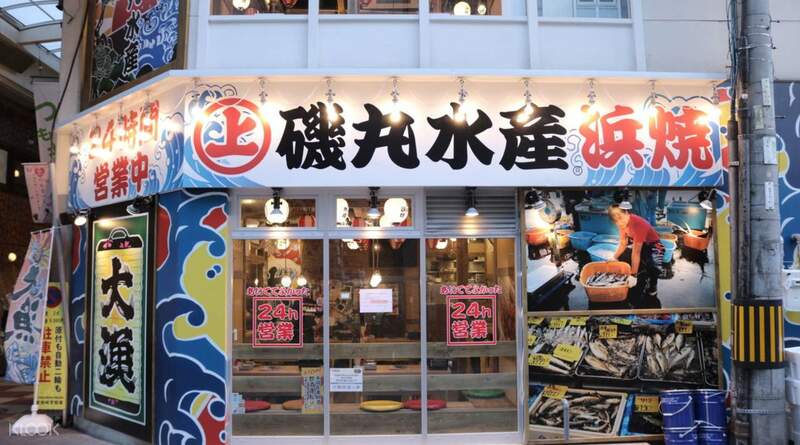 Dine in a famous seafood bar in Japan that's open 24 hours! 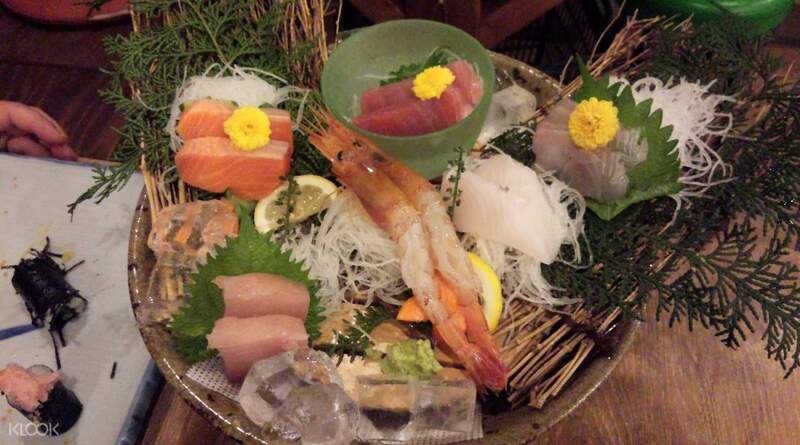 Dine in Isomaru Suisan Bar in Tokyo, a popular restaurant in Japan known for delicious seafood! food is nice and location is find to be found. the service is excellent and fast. 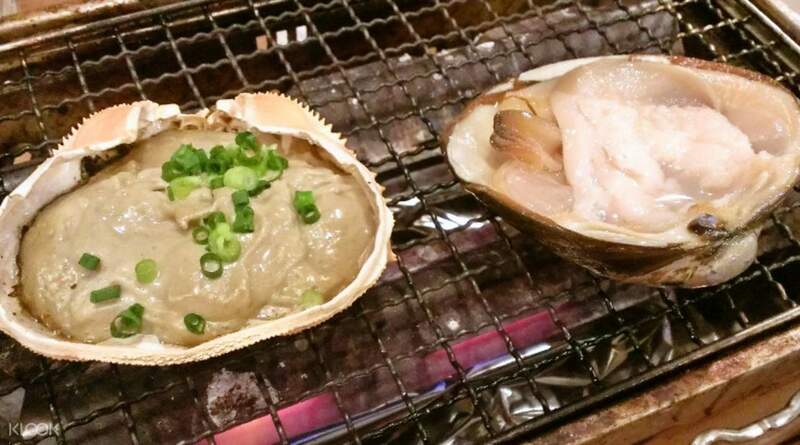 Stop by at Isomaru Suisan Bar in Tokyo, a restaurant that's open 24/7, and enjoy the refreshing taste of seafood! Escape the busy pace of the city and find yourself surrounded by an interior reminiscent of a Japanese beachfront house, filled with vibrant splashes of color from the signs and the flags traditionally flown from Japanese fishing boats. Choose the Standard Set for a course filled with fresh seafood, including sashimi, crab and scallops, or try the Upgrade Set for a taste of pork and chicken, as well as some abalone. Klook users will also get exclusive reservation service to the restaurant and be able to dine hassle-free at one of the four locations, making it a perfect stop during a day of exploring Tokyo! 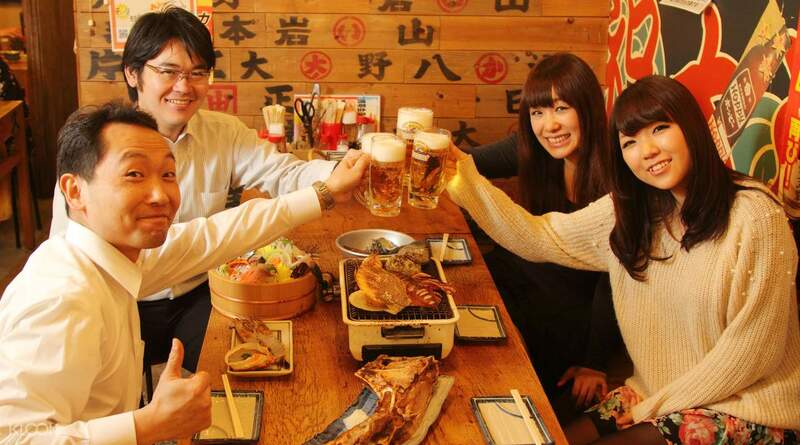 Enjoy hassle-free reservation to Isomarui Suisan Bar at one of four locations in Tokyo by booking through Klook! 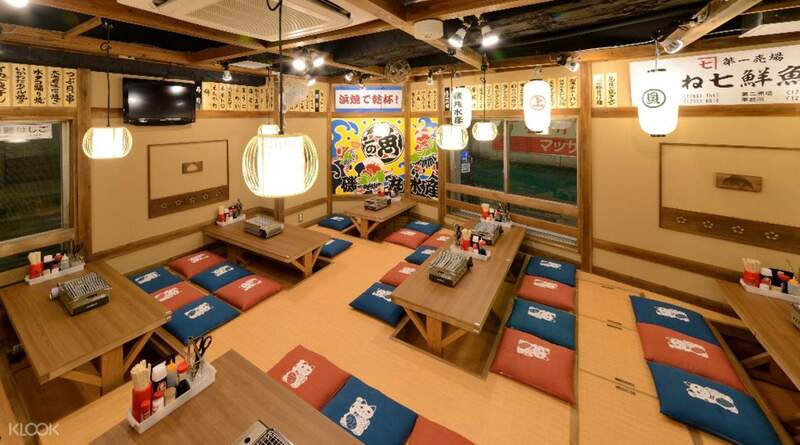 Isomarui Suisan's lively atmosphere and 24/7 opening hours is perfect for a fun meal out with friends and family! we used the voucher in Ikebukuro branch. It kind of annoying for people that not smoking but got seat near the smoker. However, the staffs are nice and the food is great!. we used the voucher in Ikebukuro branch. It kind of annoying for people that not smoking but got seat near the smoker. However, the staffs are nice and the food is great!. It's very easy to use and the foods are good taste. Recommend!! It's very easy to use and the foods are good taste. Recommend!! Very difficult to find the location. The food is fresh and nice. Very difficult to find the location. The food is fresh and nice. Location is easy to get in. Food quality is good but some of scallop full of sand. 1 cup of regular drink are included but if re-fill or re-order need to be paid by own. Location is easy to get in. Food quality is good but some of scallop full of sand. 1 cup of regular drink are included but if re-fill or re-order need to be paid by own. food is good and tasty. authentic japanese isakaya. staff was very friendly and accomodating. food is good and tasty. authentic japanese isakaya. staff was very friendly and accomodating. food is nice and location is find to be found. the service is excellent and fast. food is nice and location is find to be found. the service is excellent and fast. There are few branches in Shinjuku and we spent a bit of time to locate the shop. Overall the seafood is fresh and delicious. Staff also very friendly. There are few branches in Shinjuku and we spent a bit of time to locate the shop. Overall the seafood is fresh and delicious. Staff also very friendly. Good location, easily to locate, food is delicious. Good location, easily to locate, food is delicious.